» Another great Space X success! Another great Space X success! 18th successful landing of the Falcon 9. Almost becoming routine now...brilliant! Re: Another great Space X success! True but coming to an end soon as Space X will switch to working on the BFR. Still waiting to see what the Atlas replacement will be like for reuseability. I think the run of successful propulsive landings though is very, very important as it will be so key to developing the BFR as a multi-purpose vehicle. It will literally land with so much precision, it will land back on its launch mounts. That makes operation very practical, but landing with that much precision is very difficult. Expect this will take time. So far SpaceX has taken more time than Elon announced; expect BFR will be just as late. I'm wondering where SpaceX will build the BFR? They didn't build a larger diameter rocket in Hawthorne due to transportation issues. It has to be built at the launch site. Makes me wonder what the new South Texas facility will eventually do, since barge transportation with big things really is also feasible to Florida via the Intracoastal Canal. There are no feasible sea transport routes from California to Texas or Florida, except all the way down to the Panama Canal. Nor is there a "good" way to get from Hawthorne to the coast with big things from the factory there. Interplanetary vehicles will not launch polar from Vandenburg, anyway. That leaves Texas and Florida as feasible eastward launch sites. Has anyone noticed that if he starts launching any of his rockets from Texas, that first stage landings on dry land in Cuba or Puerto Rico become feasible? Barge transport back to Brownsville is also feasible, too, except when there are tropical storms about. There is another, even-screwier idea: refuel the first stage at its landing point (in Cuba? ), and fly it back to its launch point. "There is nothing as expensive as a dead crew, especially one dead from a bad management decision"
One reason for reducing BFR to 9 metre diameter is that it can be built at the SpaceX existing factory. It could also be built at Michoud. If built at Hawthorne, California, it would have to be towed by barge through the Panama canal to get to Florida. I believe he's planning to launch BFR from launch pad 39A at KSC. The one he's currently renting from NASA, where he intends to launch Falcon Heavy, and has been launching Falcon 9 since the explosion at launch pad 40. The question of return to launch site after refueling could also include a new set of batteries as well to make that happen and sound to be more than possible for even the BFR as well as the Falcon 9. AS for building the rockets it will come back to any place that costs the least to do as I am sure he is not funding workfare standing armies. This is just a raw hunch or wild guess. The BFR factory and its all-up ground test facilities go to Brownsville. He's already testing Raptor engines at McGregor, but there's no feasible means to ship really big BFR items to McGregor. From Brownsville, he could launch BFR, or barge it to Florida for launch there. As I said, a wild guess. But I do guess good much of the time. As long he's building them in the USA, he will get the Trump stamp of approval I imagine, which is important. The previously-flown first stage of the Falcon 9 rocket landed on an off-shore droneship eight-and-a-half minutes after launch. It was SpaceX's 31st successful booster recovery. The next space x flight is schedueled for Jan. 7 date set for first SpaceX unmanned capsule to International Space Station This is the Crew Dragon's commercial flight will be known as Demo-1 or DM-1 only with no one on board. The astronaut walkway is ready for the Crew Dragon. More success for Space X. The rise and then the slow fall... SpaceX, citing a need to get “leaner,” said Friday it will lay off about 10% of its roughly 6,000 employees. The cuts were cited in an email sent to employees by President Gwynne Shotwell. This means we must part ways with some talented and hardworking members of our team. SpaceX is offering a minimum of eight weeks’ pay and other benefits to laid-off workers. SpaceNut ... there is another way of looking at this ... Assuming that SpaceX hired only the best candidates from the US (and possibly other nations not prohibited by ITAR), then even those let go are invaluable hires to other companies. I do not experience Elon Musk as unselfish, as might be normal for a pure capitalist. My guess is that he welcomes competition from the companies who will hire these employees, or (more importantly) from the companies these employees will found, fresh from the exhilaration of working for (one of ) the top entrepreneurs on Earth. As was pointed out in responses to Ben from Belgium on this Forum recently, there is need for a massive number of vehicles to transport a viable starting culture of humans on Mars, and Mr. Musk may have just done his bit to insure the probability of that number becoming available increasing. When Musk is ready to hire again, he will (In my opinion) be able to draw from the best candidates on Earth at the time, and thus repeat the cycle. I applied for work with SpaceX. Yet I wasn't hired. I'm Canadian, born and raised here. I spent most of my life in Canada, but did work in the US. In 1996 I worked in a suburb of Richmond Virginia for Allied Signal Fibres. They owned multiple facilities, but the one where I worked manufactured Spectra, a fibre sold as "Spider Wire" brand fishing line, but more importantly was used to manufacture personal body armour for US army soldiers. For 10 months in 1999/2000 I worked in Miami Florida; I was solely responsible for the computer system for one county tax. For that job I got FBI security clearance. It was "Reliability" security clearance, not "Secret" or higher, but I did get that. In the early 2000s I was registered with NASA as a contractor; I bid on several contracts, got on their short list twice. In 2005 I bid on their "Shuttle Unit Revalidation Equipment" (SURE), which was replacing a 1989 vintage VAX computer with something modern. It was used as a diagnostic work station for communication equipment on Space Shuttle Orbiters. I have certification from 1989 from Digital Equipment Corporation (manufacturer of the VAX) as a system performance expert for the VMS operating system. That's the exact vintage operating system running on the computer that NASA wanted to replace. This is one of the bids where I got on NASA's short list. The Space Shuttle was considered to be a ballistic missile (did anyone tell astronauts that? ), so getting any documentation on it required security clearance. I got Canadian equivalent to ITAR for that, then with that got actual US ITAR clearance. I mentioned all this on my job application with SpaceX. I got ITAR clearance to receive detailed specifications for Space Shuttle. I got said documentation at my home, including detailed schematics and programming instructions for each piece of equipment. I was diligent to ensure no one saw it but me. Said documentation was stored in a secure place, as per NASA requirements. I mentioned all this on my application with SpaceX. The job would be within the US, so I would have to move to the US for the job. I was excited to do so. SpaceX did not reject my job application right away. While I was waiting, Elon Musk made his initial presentation of BFR (then called ITS/MCT) at the International Astronautical Congress in Mexico in 2016. Elon took questions after his presentation, one woman asked him why he won't hire non-Americans. His excuse was ITAR. A day and a half later I got the email from SpaceX HR stating they will not hire me due to ITAR. They said I could re-apply after I am a permanent resident of the US, but under US immigration law the only way for me to do so is first an US employer must sponsor me. As I said, I have worked in the US twice before. Both times the employer required me to sign a contract stating I would work only for them, no one else. So the first step is for SpaceX to hire me, then sponsor me for a green card. There isn't any other way. If some other US employer does so, then I will be contractually required to work for only that employer. Under US law there is no other way for me to move to the US. Period. Full stop. So you said "possibly other nations not prohibited by ITAR". There aren't any, not even Canada. Commerce is brutal. Let's not pretend. But I imagine Space X employees probably get the best rates going. 1. The need to grow revenue that can be invested in the Starship. 2. The fact that Falcon 9 is now a mature technology that doesn't need further development. This is Space X's workhorse and it is pay-back time. 3. The fact that Falcon 9 Heavy was a dead end and is going to be retired. 4. The fact that the Crew Dragon development (another potential workhorse) is pretty much complete. 2019 us shaping up to be a big year for Space X. Fingers crossed all goes well. 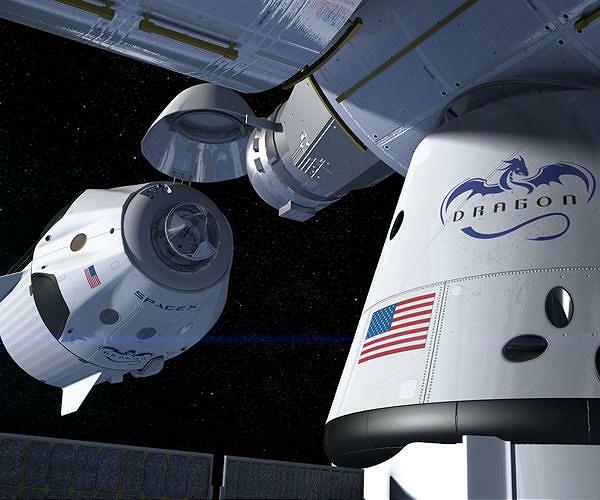 Spacex is done developing Falcon and Dragon. What you see is what you get. They have production and operations yet to do, supporting launch commitments and the cargo-and-crew-to-ISS contracts they have. But as far as Spacex is concerned, long term, those are dead ends. They already had a development team working on BFR/BFS. Some of the Falcon and Dragon teams will go to BFR/BFS, the rest get laid off. Nothing too hard to understand about that. They've built a full-diameter, short-length heavweight "grasshopper" down in South Texas to test-fly the Raptor engines and shake-down the sort of fly-by-wire robot control required to fly a big vehicle like that. This is exactly analogous to the "grasshopper" they flew before attempting to land Falcon 9 cores. But the characteristics of the big vehicle are different, so they have to do it again for BFS. Maybe another "grasshopper" for BFR? I dunno. They may not know yet either. My understanding is it could be a lucrative dead end for Space X - sending astronauts to the ISS. A low cost taxi to orbit will not be a total dead end as there is more than likely more platforms still yet to come to which BFR will be an over kill for small facilities. There is the chance that others will still want short duration flights just going in circles before coming hoime. In the UK we have an incredibly successful commercial road vehicle - the Ford Transit. I am sure there are equivalents all around the world. It's basically what we call a van - a seated area at the front and then a lot of enclosed storage space at the back. I very much doubt that anything more than 1 in a thousand Ford Transit journeys involve any load close to its full load. Probably most are in the 5%-30% range. But there are millions of these vehicles which are cheap to produce, cheap to maintain and last a long time. This is the way I look at the Starship. It is incredibly versatile and will be cheap to produce and maintain, and will last a long time.